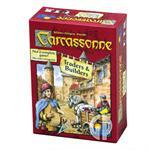 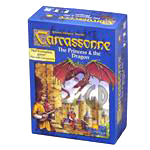 Drake says: "Travel Carcassonne is simply a scaled-down compact version of Carcassonne. 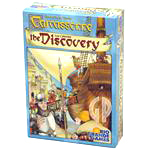 The tiles are a bit smaller than the original game, and the bag is used as the scoring track. 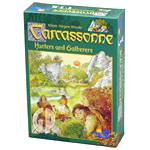 Take it anywhere!" 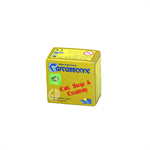 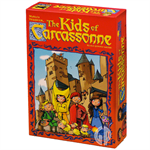 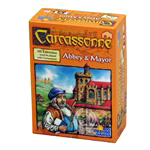 John says: "Now you can take Carcassonne everywhere you go! 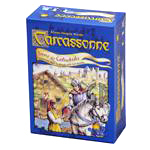 The scoring track is printed on the cloth carrying sack, which has room for all the tiles and followers. 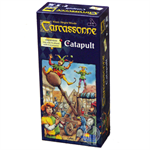 Of course, all components are a bit downsized to make it more convenient to carry along, but the game is the same as the original." 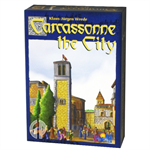 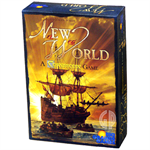 • No Expansions: The tiles size of the Travel Edition is smaller than the regular game, so it is not possible to add any expansion for the regular game. 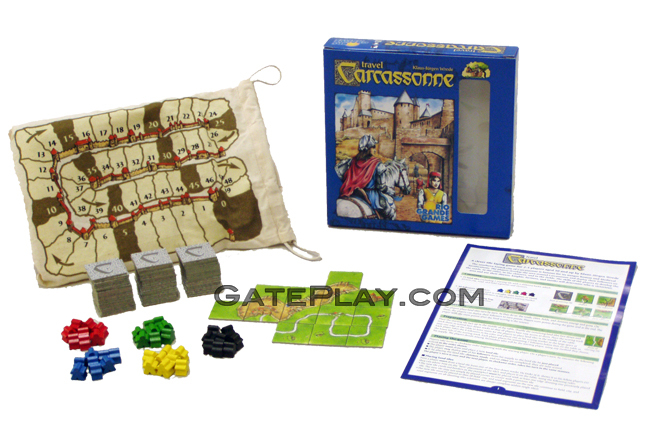 • Tile Bag As Counting Table: The game includes a bag for the tiles that is printed with a counting table. 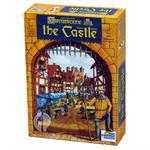 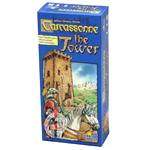 Check out "Travel Carcassonne" on BoardGameGeek.com!